Larger Project 2-4, Dining and Living Rooms » Roger Perron Inc. 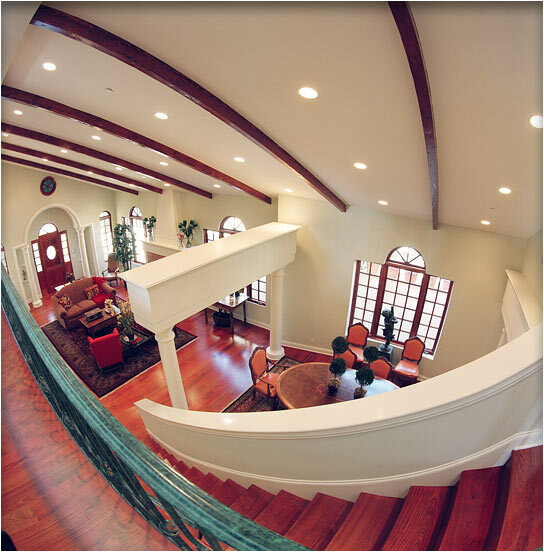 This view is from the stairway above, looking down on the dining and living rooms. The decorative columns are Tuscany style, housing steel posts to support the floating header above.